Learning how to increase page views is certainly a top priority among bloggers of all kinds. But learning how to increase page views is also probably one of the hardest things about blogging. If you’re new here, this blog is where I share what I’ve learned with others. 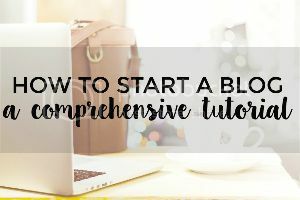 Learn how you can start a money-making blog in this post. It does require work – but overall, I’d say that time and patience are your biggest role-players on this one. However, there are many things that you can do to help yourself along in the blogging world. (Knowing how to increase page views is one of them.) In fact, following these exact strategies, I grew this blog from zero page views to 30,000 monthly page views in three months. Want more info? Grab the eBook designed to help you through the first year as a new blogger. I realize that for some bloggers, it may be no big deal to increase page views that quickly. But for myself and many other bloggers, this is no small feat! I have had several other blogs, and none of them saw that kind of growth. My theory is that I am now armed with a lot more blogging knowledge and I’ve become a lot more consistent with my blogging efforts since I started my first blog. Link to yourself in posts. When you write a blog post, make sure that you take advantage of the opportunity to keep readers on your site longer by linking to (your) relevant posts where appropriate. Go back and edit old posts to increase page views on your existing work, too. The more links to yourself, the better! Edit your links to open in new windows/tabs. Every link that you feature (outbound or not) in your blog posts and elsewhere on your blog should open in a new window. Doing this keeps the original page open longer AND helps you increase page views when that new link is clicked. Simply click the “Open link in new tab” box when you edit your links. Install a “related posts” plugin. In addition to relevant post links in your blog posts, you should feature related posts at the end of each post. There are many plugins that do this, but if you have Jetpack, they have a “related posts” option, too. Since readers who reach the end of your post are already somewhat invested in what you have to say, they are the ones who are most likely to click through another post. This is a simple and easy way to increase page views. Set it and forget it! Feature some popular posts in your sidebar. Again, there are plugins for this. However, if you want to hand-pick your selections, you can make your own images with links in the sidebar. This is what I do on my sidebar. I use the featured image for a particular post, add it to Photobucket, then take that Direct URL and add it to an image widget in the sidebar. The result is a super customized sidebar that features the posts I’m most interested in driving traffic to. I suggest putting these somewhere in the beginning to middle of your sidebar so that people who abandon the post that they originally came to have some easily-accessible options. Update your social media profiles and images/posts to include keywords. This can make a HUGE difference in so many ways. Not only does adding keywords make you more likely to be found and see growth on your social media platforms, it also helps you gain more relevant followers. Adding keywords has an especially significant impact on your Pinterest game, so be sure that you add keyword-rich descriptions to your profile, boards, and each Pin you upload. Someone who finds you based on keywords is more likely to click-through to your site because they are already invested in a topic. 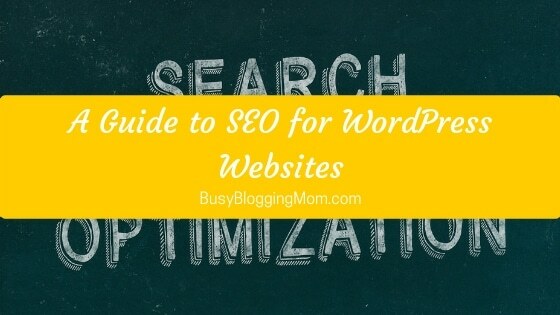 You can get started with the YOAST SEO plugin, but I encourage you to do your own SEO research. SEO changes constantly based on search engine algorithms, but there are a few widely-accepted principles that are handy to know about. Keyword research is a big one! Here’s a basic article to get you started. Use a social media scheduler for all social media platforms to maintain exposure. Post long, keyword-rich content regularly. Keywords are among my top priority as I write. Sometimes, however, I do write “just because.” However, most of the time, I carefully choose each keyword (or set of keywords) based on popular topics that would gain me more organic traffic. I find that the more often I post, the more page views I get. That sounds obvious, but I see a large boost in traffic when I post 2-3 per week versus once per week. There are many resources on the topic of “keyword research” and I highly suggest doing a little bit of research during what I call a “post idea dump.” You can use either Google or Pinterest to search keywords and see what related keywords are being used, or you can use keyword tools and plugins. Here’s Google’s article on keywords. Use link parties to get a few extra page views and have the chance to be featured. The more sites linking to yours, the higher you will rank in search engines. When you participate in link parties, not only can you increase page views, you will also have the chance to be featured by the party hosts. Being featured means that you are more likely to see more clicks, but it also means that you will have a new site (if not several in a joint party) linking to yours. This is almost always a good thing, because search engines like Google see your site as more credible and you are therefore more likely to climb the ranks (as I understand it). You can download a big link party calendar (with links) on my freebie page for subscribers. Guest post on other sites to reach new audiences and have new sites linking to yours. Like with link parties, guest posting will help you gain exposure (a brand new set of eyes!) and have more sites linking to yours. The effect is the same – more people + sites linking to yours = higher rankings. Play with alternative social media platforms. Some people have a lot of success here. I used to have a ton of success with StumbleUpon, but when I lost that for some reason, I started trying other or “up and coming” platforms. I suggest trying Bloglovin’, Imgur, FlipBoard, Reddit, SnapChat, Periscope, and more. However, if after a good effort and a few months you don’t see significant traffic, don’t hesitate to drop a social media platform and move on. Time is money, right? I’ve seen up to 4,500 page views in one day from StumbleUpon. However, I seem to be doing something wrong ever since the latest update. Others seem to be getting traffic just fine. Sign up for StumbleUpon, interact with the platform, and occasionally add your own posts. Don’t forget to add a StumbleUpon button to your site, because having other bloggers (and people in general) “Stumble” your posts seems to be the most effective way to see page views. Create 2-3 keyword-rich Pins for every post you create. More pins = more exposure. (You can read about making great Pinterest images in this post.) This has been one of the most effective strategies I’ve used so far. 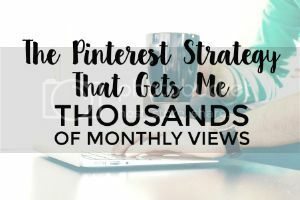 Pinterest is by far my largest referrer, sending me anywhere from several hundred to several thousand page views each day. Ever since implementing this strategy, however, I’ve seen more consistent growth and an increase in page views month over month. Make 2-3 Pins for each post. They should be entirely different in appearance but not be misleading (i.e. don’t change the text too much). Have an email list and be sure to notify your followers each time you write a post. You can encourage readers to subscribe to your RSS feed if you want, but I like to stick to the email list so that I can engage with my readers on a more personal level. I use Mailchimp to capture emails right now, but I hope to switch to ConvertKit soon. Automation via email is an invaluable tool to maintain exposure. Why? Because those who have already invested themselves in you by signing up for emails are your most loyal readers. They are most likely to return. Create a sharing schedule to recirculate your old posts often. Repurposing or recirculating an old post is a great way to maintain exposure – especially when you don’t have the time or motivation to write a new post. I circulate all of my articles on Pinterest, Twitter, FB, and Instagram regularly. 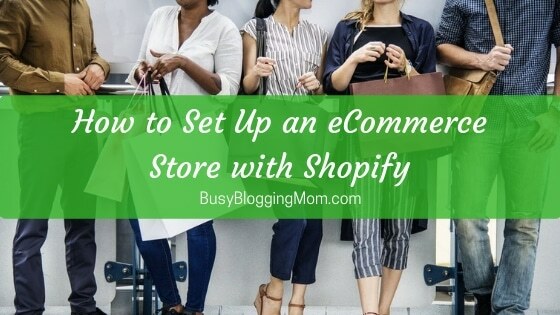 (You can read about my exact Pinterest strategy in this post.) This can be done with the schedulers I mentioned above or manually. You’ll want to share often but not too often, and make sure that you don’t share too much of the same thing without spacing it out. This article talks about the best times to post on social media. Make your writing easy to read by using headlines, short sentences, lists, etc. Make sure that your blog is mobile-friendly, meaning that it is optimized to be read on a phone or tablet. This one isn’t just about your writing – it’s about your menu, pop ups, ads, and the overall look of your site. (I recently visited my site via mobile and it looked totally unreadable!) I quickly attempted to fix it with a mobile optimization plugin, but you may need to play around with your ad setting, popups, navigation and more. You want there to be no major obstacles for readers in order to keep those page views. Make your site navigation super user-friendly. This applies to your desktop site and mobile sites. Make sure that you have a “search” option for people looking for specific posts, and update your blog post categories and pages when needed. Put yourself in the shoes of your ideal reader and take a look at the paths they take (in your analytics) to help you decide how your site should be navigated. A highly-customizable theme will help with this – I got mine from StudioPress. Use blogging-related FB groups to promote yourself + other bloggers. 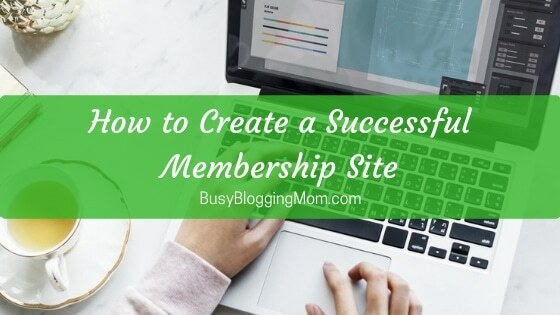 In the beginning of my blogging days, this was my go-to method to connect with other bloggers and get page views. I still use a lot of promo-related Facebook groups (like this one), but now I have developed enough of a presence that I have scaled back a bit. However, keep in mind that promo-for-promo groups create less meaningful interactions and don’t necessarily foster loyal readers. They are basically there for boosts in page views, and won’t necessarily bring potential clients or loyal readers. While you might be able to increase page views quickly this way, be careful of putting too much time + effort in on this one. Engage readers by asking them a question or leaving them with a call-to-action at the end of the post. Asking the reader a personal question at the end of each post not only keeps them on your site longer, it also helps with overall engagement. (If you don’t have a good and relevant question to ask, you can always ask the reader for feedback on the article or if you can help them in some way.) The more a reader is invested in what you have to say, the more likely they are to come back to your site. I value each and every comment I receive on my blog, and ALWAYS take the time to respond. Why? Because I know that getting personal is key to lasting relationships – in basically every area of life! Inviting your reader to get involved is an important way to make your reader feel important – because they are! Provide something of worth to the reader in EVERY post. Why should a reader come to your site if there is nothing in it for them? Perhaps that’s a sad outlook, but the human in all of us is selfish and we are constantly looking for something. Sometimes it’s entertainment, sometimes it’s advice or education, and sometimes it’s a product or freebie. If you don’t offer one of those things in each post, don’t expect many readers. Blogging help, free downloads, and tips are my go-to’s. Adding value is key if you want to increase page views AND see future conversions. That’s a wrap! Need more help? Check out my free email course by clicking here! Looking for more blog help? 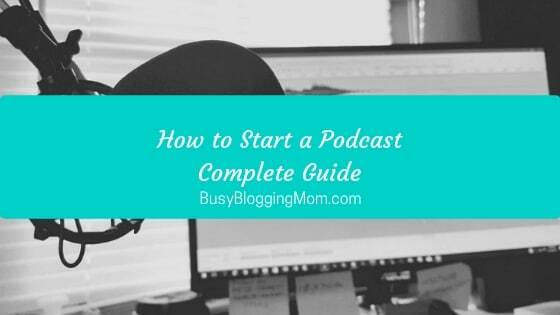 The Bold Beginnings eBook will help you start, grow, and monetize your blog in no time. Click to find out more! Hi, Chantal. There have been a few times I increased page views temporarily. Long term though is another story. It is a lot of work and it needs maintenance once you reach your goal. I think understanding your analytics, writing for the web, and exactly what counts as a page view is important. An e-course for beginners (free or low cost) is needed and this blog post is a great start. This post would make a great checklist btw. Thanks Sara! You’re so right. In fact, I have been working on ConvertKit all day writing a free email course on gaining traffic. Perfect timing 🙂 Blogging in general takes so much work and I definitely need to work on the analytics side of it. Thanks so much for stopping by again! This is a great collection of ideas, Chantal! I’m pinning this now to reference again in the future. I’m a new blogger (just launched 2 weeks ago, eeek!) and you are someone I really look up to! Your blog is beautiful and easy to use. I love how you actually do the things you suggest! Thanks for the tips and inspiration! Oh thank you Heather! Best of luck! 🙂 Yep – there is one, and I’m using it now, but if you want different display options (i.e. images versus just links) you may have to mess around with another plugin. Great Post! I’m going to work on my blog today! Chantel, LOVE your style and your PINS are engaging, beautiful and intriguing! Way to go! This is definitely exactly what I needed to read! I’ve been trying to boost my views for a while – yay! Can you explain a bit about how link parties work and how to find them? I’ve heard of them but have no clue what they are! Yes! I had a whole post dedicated to explaining them…working on digging it up! For now, you can find a big downloadable list on my freebie page. Hi. Curious about your take on Digg and Flipboard 🙂 Do you use them? hi. thanks for the answer. I am having the same experience with Digg. Flipboard is lately hit and miss but it does work when you put time into it. Thank you so much Chantal for sharing all these great tips! Believe or not but what really blew my mind was the idea of opening links in new tabs. It is so simple yet I never thought of it! I am following most of the other tips already but there is still room for improvement especially the resharing of old content. Gotta work on that one! Great article. There are SO many little details to think about when it comes to blogging. It can get overwhelming pretty quickly. Nice to have a list like this for quick reference. Thanks! Agreed – it can be overwhelming! You just have to take it one step at a time. 🙂 Thanks for commenting! Thanks for these tips. It’s much easier to do the little things like linking to your posts or opening up links to a new window then to really sit down and get a SEO strategy! For mamas, little quick things rule 🙂 Thanks. So true! Breaking it wayyy down is super helpful. Thanks for stopping by again. Thank you for the great post Chantal. I signed up for StumbleUpon awhile ago but have not seen any real action from it. I am going to take your advice thought and try it some more, sounds like if you figure out how to do it the right way it can really be beneficial. I also never knew that it is a good idea to have more then one pin designed to be used for Pinterest, I guess I have some work ahead of me to update my posts. Thanks for the advice, very much appreciated. Hey Chantal! Thank you for your post! I have been wondering how to add popular post in my sidebar. Just wasn’t quite sure how or what to search for. Yeah! There are tons of plugins for it (then you use a sidebar widget) or you can make your own! I uploaded images to Photobucket, added those images to my sidebar widgets, and then just linked them to the posts. This is such an awesome list of tips on increasing page views! Focusing on SEO for my blog posts has helped considerably with my blog! No problem Tracy. Good luck! Chantal I have been having issues with creating a community because i see very few bloggers around me. Much of them has no idea about it. how can I best solve this problem ? Hmm. I’m not sure what you mean. What is your niche? These are all great ways to increase page views!!! I find that link ups work really well for me with getting more traffic to my blog. I also love participating in fb groups. SEO is so important to use in order to get more traffic. Thanks for sharing theses great tips. Lots of new information . Will try out the “related post” plug in and work on my keywords. Great post! I’ve been blog researching for about a month and working on my own and am definitely struggling with traffic. 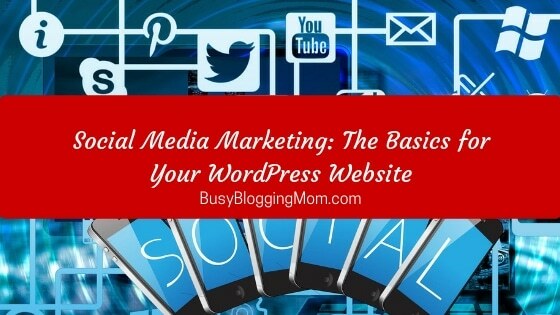 I see a lot of posts about promoting on different social media sites but have also seen posts that say you need to pick a few and stick with them to get the traffic you want. I’ve been working primarily through Instagram, Tumblr, and Twitter. Very good information, I plan on implementing some of your pointers and hoping they make a difference. I have been a bit discouraged, because my blog doesn’t seem to be going anywhere, nobody leaves comments and very low amount of views. Thanks for your tips. Wow! So many invaluable tips! Thank you so much for sharing your experiences. Wow! This is great. I obtained my hosting, my domain name. Now i’m stuck with a theme. Is a disaster. I haven’t event started blogging and things are going south! Thank you for sharing your wisdom on this. Great post, bookmarking for future reference!